NOTA: No me pidais por correo ni por MP el canal ni el metodo que he utilizado. No voy a publicar nada de esto, principalmente porque no le veo mucha utilidad. Following on from yesterday’s news that the GTA ChinaTown Wars ROM is not known to work on any current carts, after further experimentation it seems like it does work on a select few. Apparently it works on the G6 real with latest firmware, SCDS1 (clean no patches with latest firmware and AKRPG (AKAIO). Also, the DS-X is reportedly capable of running it with the Max-Crass method. Continue discussion here. 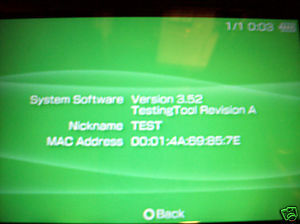 Remember that PSP dev kit that showed up on eBay in 2006? 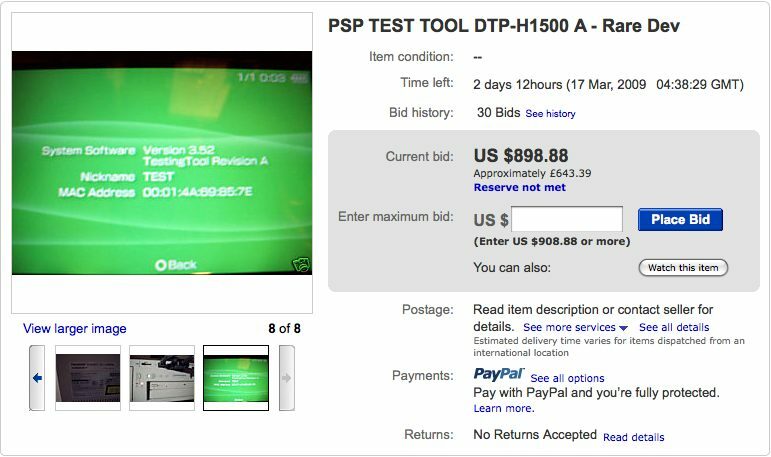 Nobody got that one since Sony managed to get it removed before a final deal was set, but now here’s another guy selling a test kit. 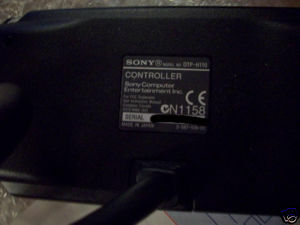 The seller says that it already comes with everything you need to get it up and running, including a PSP test unit that has one dead pixel. 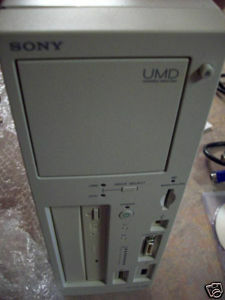 No mention of how the seller got his hands on this thing since as far as I know, Sony just licenses dev kits to game developers. The current bid is at US$ 811.00 (£587.30) with the bidding ending on March 16. Let’s see if someone manages to buy this before Sony gets it taken down as well.